Our first Covenant affirmation is the centrality of the Word of God – and central to our life and faith it is! As “People of the Book,” we have a long tradition of valuing deep engagement with the whole Bible. The Make and Deepen Disciples team is committed to building upon our rich history of Scripture engagement through a variety of intentional pathways. 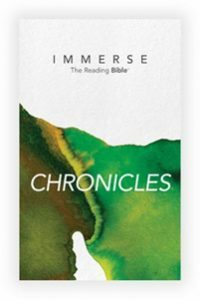 We are now pleased to introduce the pathway of Immerse: The Covenant Bible Reading Experience in partnership with Tyndale House Publishers and the newly-formed Institute for Bible Reading. This dynamic resource will allow for a congregation to read through the entire Bible together in community over the course of three years. 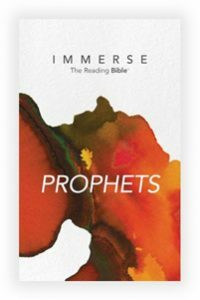 Whether you choose Immerse or a different resource, we encourage every Covenant congregation to continue deep, daily engagement with the Word of God – the best discipleship tool there is. 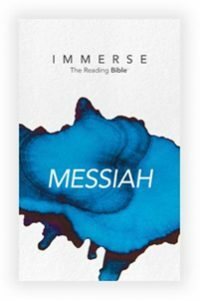 Immerse: The Reading Bible is a six-volume, specially-formatted Bible created with one goal in mind: to provide the best Bible reading experience possible. By reading together twice a year, your church can read through all six volumes—the entire Bible—in three years. Then, start again! 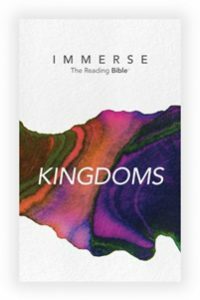 With Immerse, you can make the Bible central to your church’s identity and life together. The Reading Bible is a unique six-volume Bible. The text is laid out in a beautiful single-column setting with chapters, verses, section headings, and footnotes removed, and with the content of each book displayed according to its literary genre. 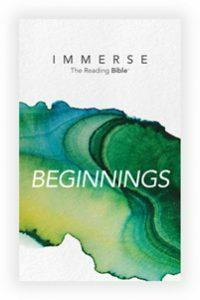 Your church will use this unique reading Bible to read through large portions of the Bible eight weeks at a time. 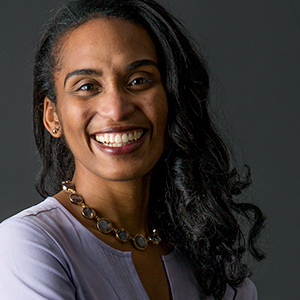 Once a week, community groups will engage in simple “book club” style conversations. 1. What stood out to you this week? 2. Was there anything confusing or troubling? 3. Did anything make you think differently about God? 4. How might this change the way we live? This isn’t meant to be a one-time experience. 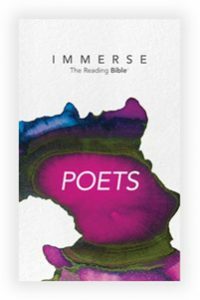 Rather, Immerse enables your church to follow a regular communal Bible reading rhythm. By reading together twice a year, your church can read through all six volumes—the entire Bible—in three years and then begin again. You can make regular immersion in the Scriptures a central piece of your church’s identity. Invite your church to get swept up in the story together so they can be transformed together. Helpful tip: If you purchase more than 10, each Bible will cost less than $10. Be sure to use the special ECC discount code for an additional 10% discount. Use promo code COVENANT10 at check out. Consejo útil: si compras más de 10 Biblias el costo por Biblia será de menos de $10 dólares. Asegúrate de utilizar el código especial para obtener un descuento adicional del 10%. Usa el código de promoción COVENANT10 al momento de pagar.